Administrators in StaffMap may upload a backed up project. Project back ups are portable and can be uploaded to other installations of StaffMap on other servers than its origin. Note - Project back ups must have the "*.map.zip" file extension. This type of file is created when a back up is made in StaffMap. Run StaffMap to display the 'Manage Projects' form. Select the Upload Project button. In your File Explorer, select the .map.zip back up file on your server. 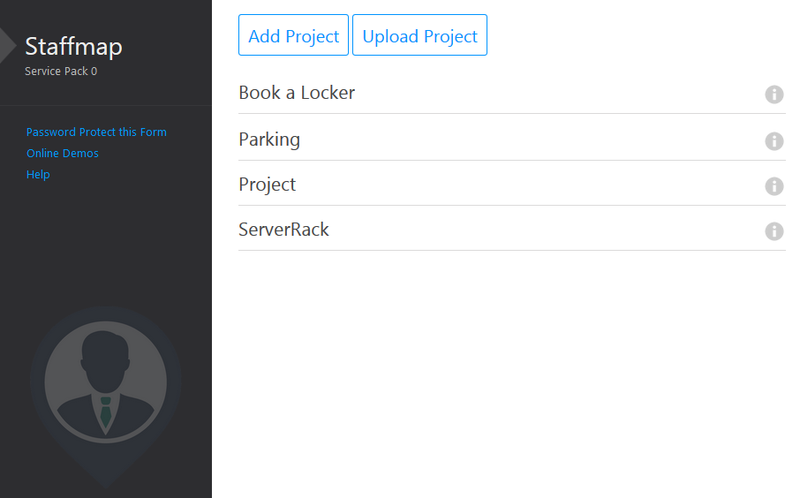 Wait for StaffMap to process the back up and add it to the manage projects form. Note - If there is a project with the same name already in the manage projects form, a unique suffix will be assigned to the uploaded project. 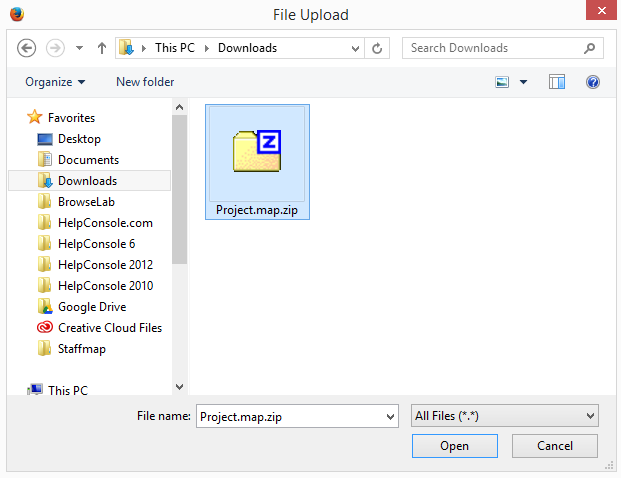 Make sure the file you are uploading has the .map.zip file format in the name.